QIC has demonstrated its confidence in the Melbourne retail sector with the $26.05 million acquisition of the Coburns Central neighbourhood shopping centre. The sale was negotiated by the directors of CBRE’s Victorian Retail Investments team, Mark Wizel and Justin Dowers, on behalf of private Adelaide-based investor Nick Dimauro. It is the second Victorian neighbourhood centre transaction in as many weeks and a deal which signals the strength of buyer interest in the state’s retail sector. “The competition that we experienced from buyers during the sales campaign was the strongest we have experienced for a neighbourhood shopping centre since the highs of 2007,” Mr Wizel said. QIC Global Real Estate Managing Director, Steven Leigh, said the acquisition of Coburns Central aligned with QIC’s strategy to develop a portfolio of high-quality retail assets that delivered strong investment returns. 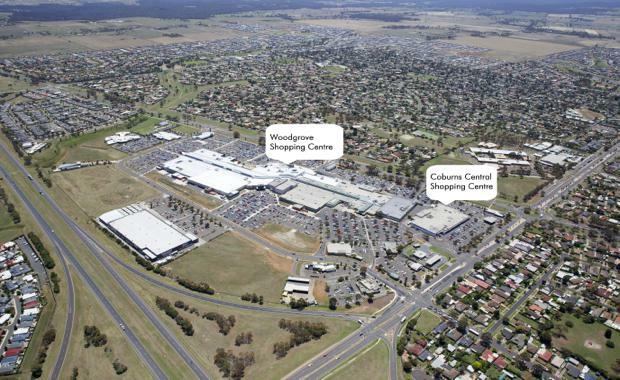 “Given Coburns Central’s prominent position on the major Melton road networks and location directly adjacent to our existing asset, Woodgrove Shopping Centre, this is a logical acquisition for QIC and provides a long-term opportunity to integrate both centres,” Mr Leigh said. , this key convenience-based retail asset complements QIC’s blue chip portfolio of real estate investments. "Mr Leigh said the Centre’s location and retail composition, with a focus on a convenience-based offer, complemented QIC’s Woodgrove Shopping Centre, which recently underwent a $150 million development – delivering a dynamic shopping, recreation and dining destination for the thriving Melton region. The 6,868sqm Coburns Central complex is anchored by a 3,891sqm Woolworths supermarket including BWS, and comprises 14 specialty tenants. Mr Wizel said the centre had been marketed with just three years remaining on the Woolworths lease – a factor which had created some initial market concerns. “Most pleasing was the way in which buyers quickly changed their view on the short lease tail to Woolworths,” he said. He added that while there had been a strong volume of Victorian retail investment sales in recent years, what had been more striking was the speed with which yields had sharpened. It follows last week’s sale of the Maroondah Village Shopping Centre, which was acquired by a private investor on a passing yield of less than 6 per cent. This continued the momentum from late 2014 when a series of Victorian neighbourhood shopping centres changed hands, among them Bentons Square Shopping Centre (on a 6.3 per centyield) and The Avenue Shopping Centre (on a yield of 6.9 per cent). Mr Wizel said the level of activity was being aided by the lending appetite of the major Australian banks as a result of improved tenant demand and growing consumer confidence. “We received several funding proposals during the campaign from lenders who recognised the strong performance of the asset and how to manage any associated downside,” Mr Wizel said. Mr Dowers added that tenant demand was continuing to strengthen, with heightened competition for vacant tenancies in Victorian neighbourhood centres. This is expected to result in mid-term rental growth which should enhance total returns from neighbourhood assets,” Mr Dowers said.